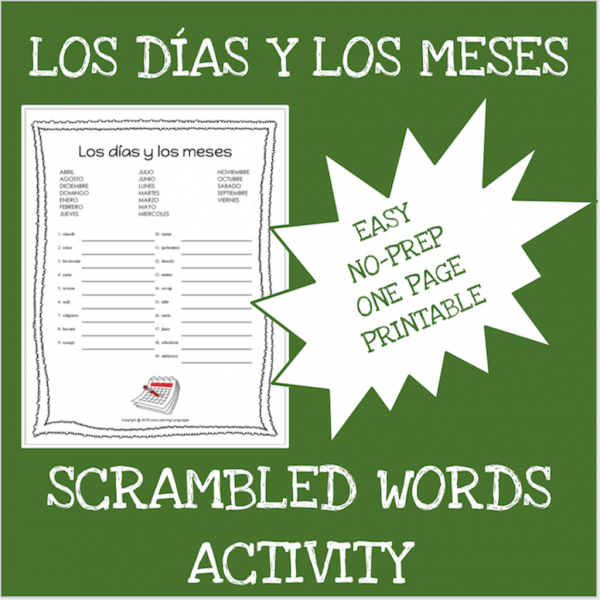 This one page scrambled words worksheet will help your primary students and Spanish students of all ages learn the days of the week and the months. 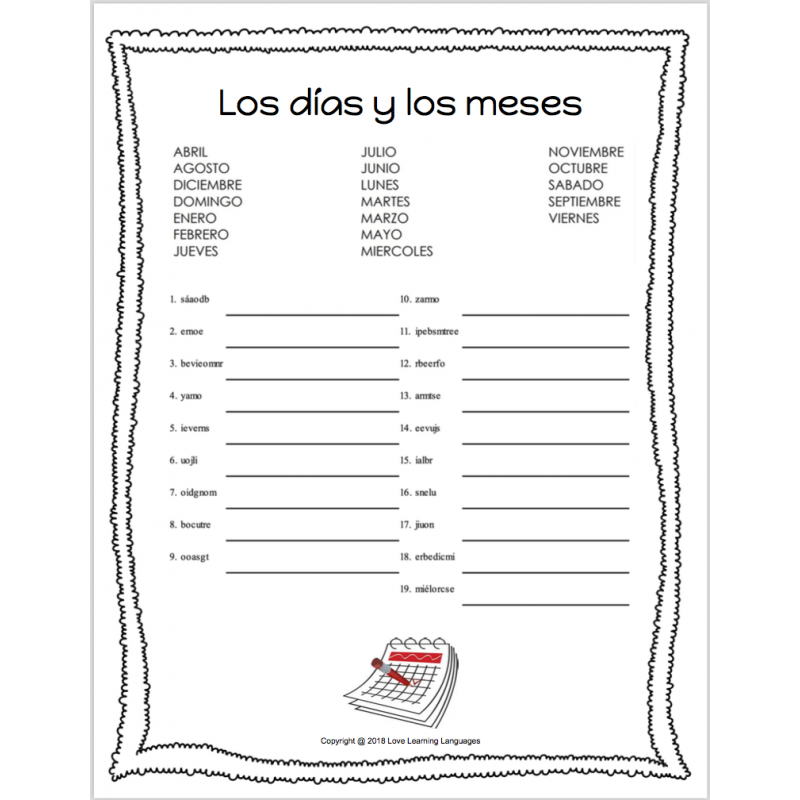 This resource includes all of the days of the week and months. It is an easy, no prep activity that is really useful for early finishers, for students who need extra help, and for literacy centers.